Its beauty is garnished with the maximum security it boasts of, which is expressed in the tested and efficient locks that guard its openings. 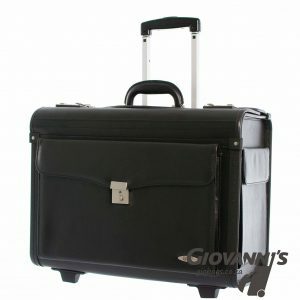 This pilot case is repulsive to accumulation of dirt, thus very easy to clean. 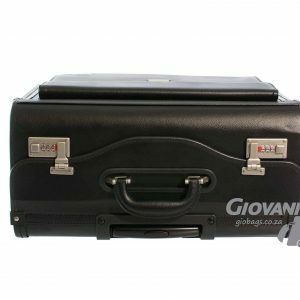 This leather pilot case by Gino De Vinci is a structured business bag on wheels that is made of Bonded leather and has enough space to carry your files and stationary. 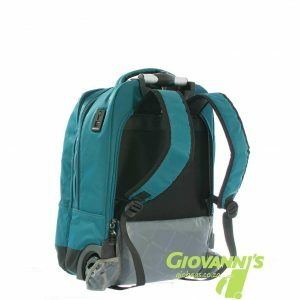 It features an easy-access slip pocket on the outside for small items. The main compartment has a wide opening with several dividers to organize your files and paperwork. Also, it includes a removable laptop sleeve for those lighter workdays when you don’t need to take everything with you. 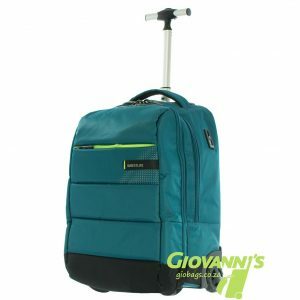 It boasts of portability that is suitable for holidays and business trips, and its pair of roller blade wheels makes transport a breeze while the telescopic trolley handle lightens up the experience. The handle can be adjusted to different heights using the push-button built in.